War belongs in the museum. 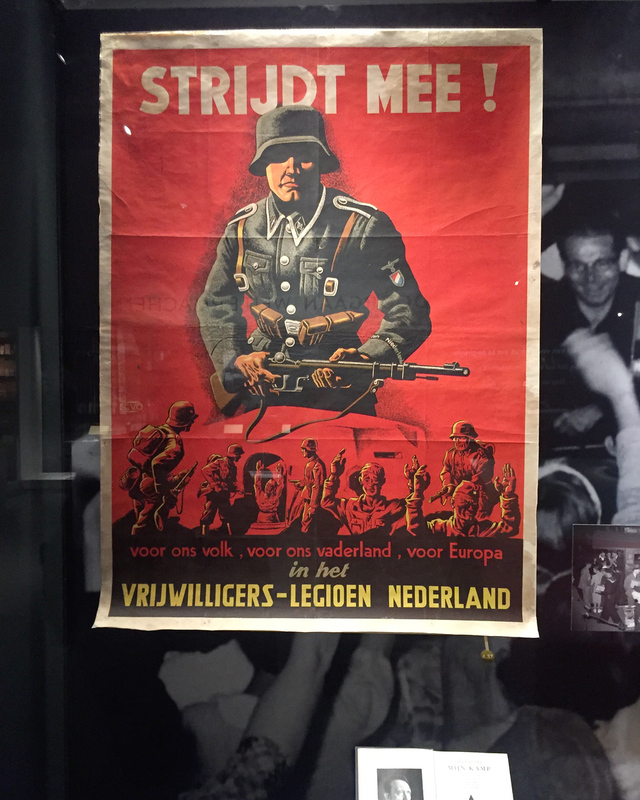 That is the motto of the War Museum Overloon. 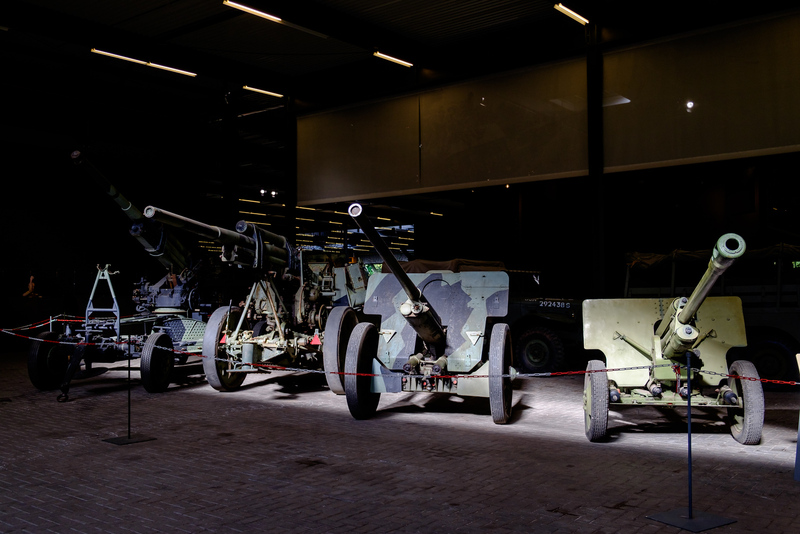 The War Museum Overloon presents the history of the Second World War. 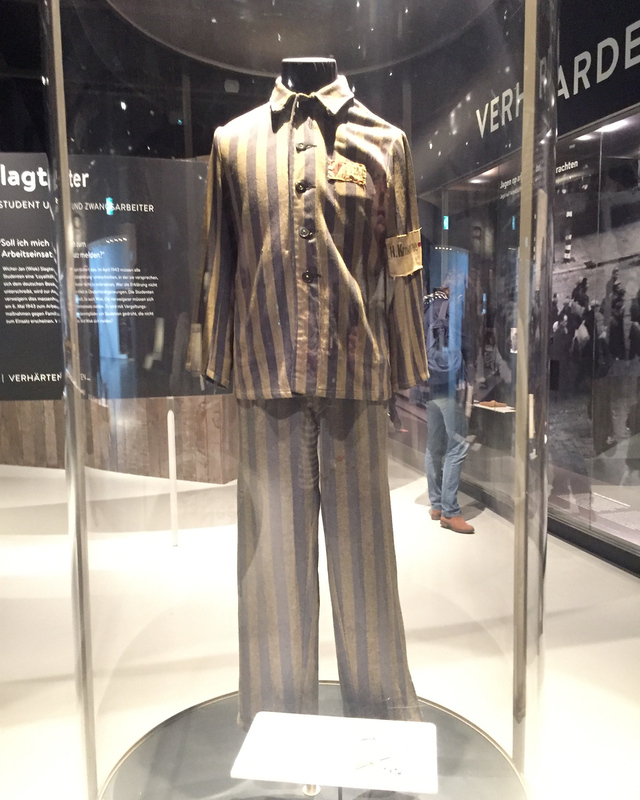 Here you see how it can be that in five years’ time more than fifty million people lost their lives, but also how the oppressed people resourcefully coped with restrictions and shortages. There is attention to the opposition, but also to the persecution. Finally, there is, of course, also attention paid to the liberation, with special attention to the Battle of Overloon. In September 1944, the British general Montgomery conceived of the attack plan Market Garden. With air landings at Arnhem and the liberation of a narrow corridor through South Netherlands, it would be possible for the Allies to make a further advance to Berlin. However, the plan only partially succeeded. The Allied forces wanted to broaden and strengthen their corridor, but the German opponent in turn tried to cut the Allies off. On 30 September, the two parties clashed in the vicinity of Overloon. German Panther tanks and American Sherman tanks attacked each other continuously. About a week later, British troops got involved in the fight. Ultimately, it took nearly three weeks before Overloon and more the southerly Venray were liberated. The Battle of Overloon is known as the most intense tank battle that ever took place on Dutch ground. The battle of Overloon ensued as the Allies in Operation Aintree advanced from nearby positions south toward the village of Overloon. After a failed attack on Overloon by the U.S. 7th Armored Division, the British 3rd Infantry Division and the British 11th Armoured Division took over. The U.S. 7th Armored Division was moved south of Overloon to the Deurne – Weert area. Here they were attached to the British Second Army, and ordered to make demonstration attacks to the east in order to divert enemy forces from the Overloon and Venlo areas. Suffering heavy losses the British captured Overloon and moved towards Venray. 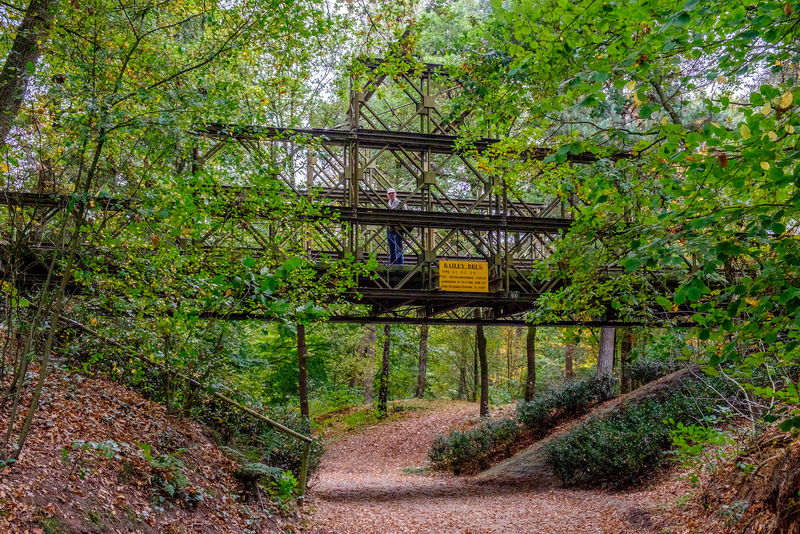 The advance on Venray resulted in heavy losses, especially around the Loobeek creek, which was swollen due to heavy autumn rains and was flooded and mined by the Germans. Casualties were heavy here among the 1st Battalion, Royal Norfolk Regiment which was serving in 185th Infantry Brigade of the British 3rd Division. During the battle, the village of Overloon was destroyed. 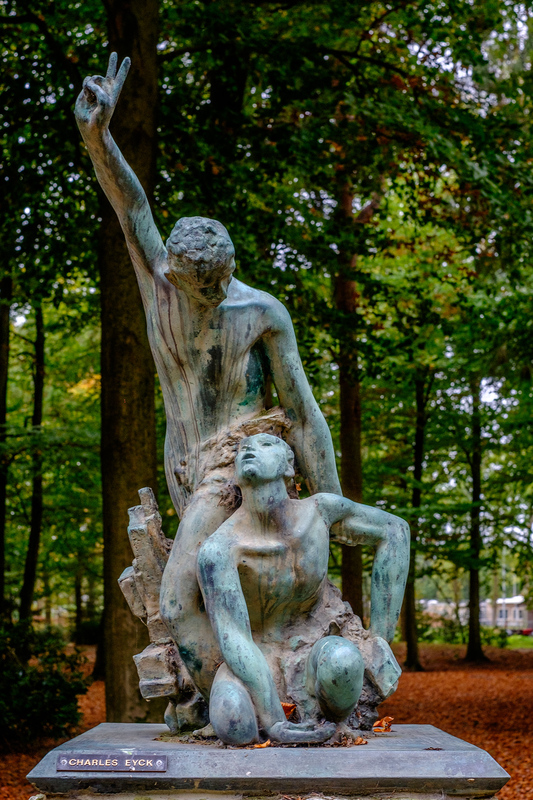 In and around Overloon, some 2,500 soldiers died, making it one of the bloodiest battles in the Netherlands during the Second World War. Dozens of tanks, mainly American, were destroyed. (info from wiki and the museum website). I did say in my post from Waterloo, that the underground museum there was one of the most impressive I’d seen, but really Overloon War museum was even more so. 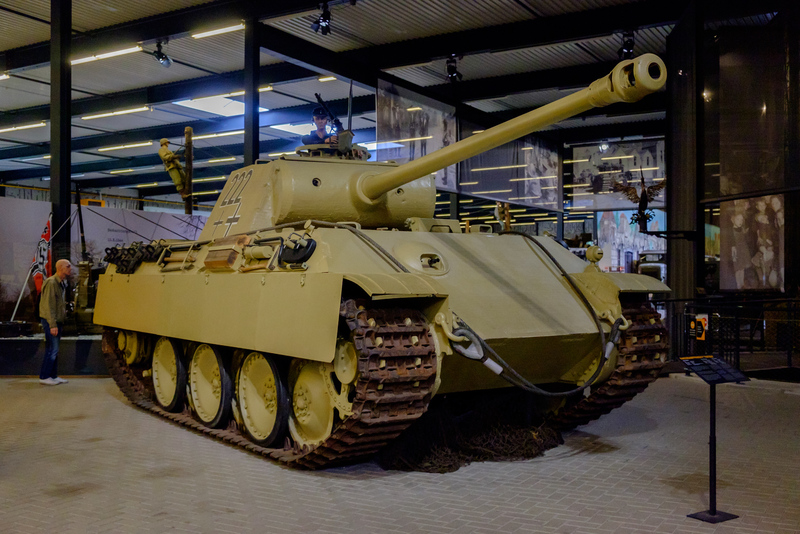 The museum was established straight away after the war, in 1946 and consists of tanks, vehicles and all sorts that were left on the battlefield, and have been restored. 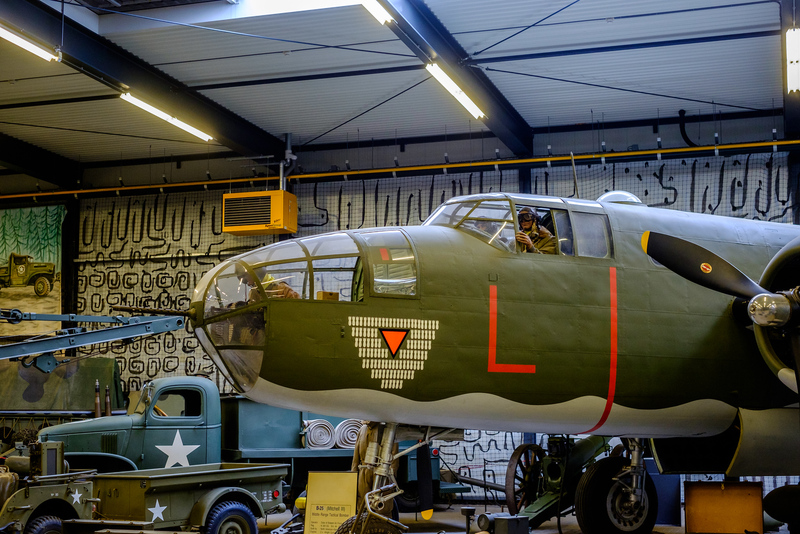 The place is huge, big enough to house a B25 tactical bomber as well as all the vehicles. 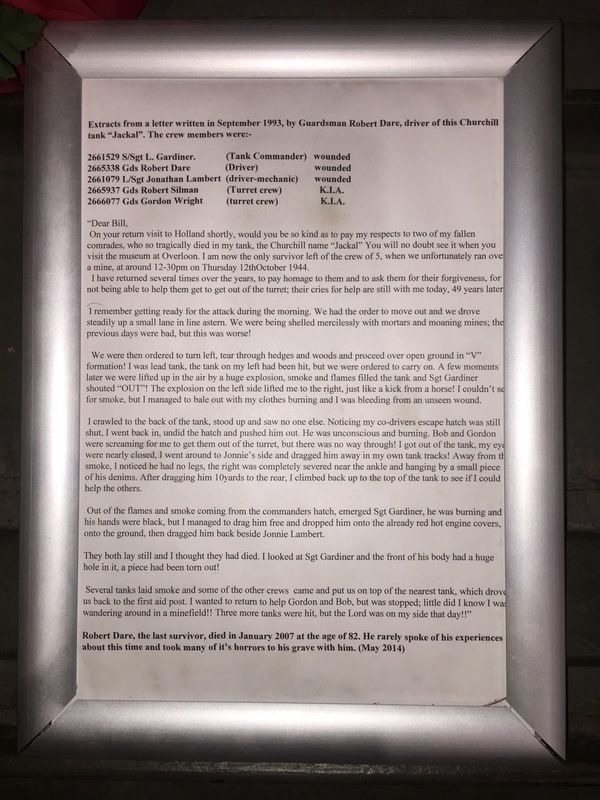 One of the more poignant exhibits was a Churchill tank and with it a letter from the chap who’d been in it when it was blown up, you can click on the picture of the letter to see it large so to speak, and to do so and read it is an experience in itself. 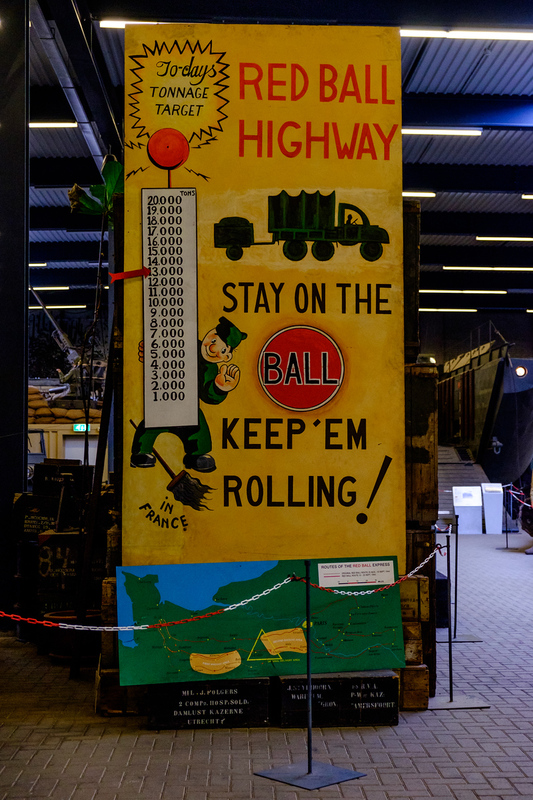 The Red Ball Express was a famed truck convoy system that supplied Allied forces moving quickly through Europe after breaking out from the D-Day beaches in Normandy in 1944. 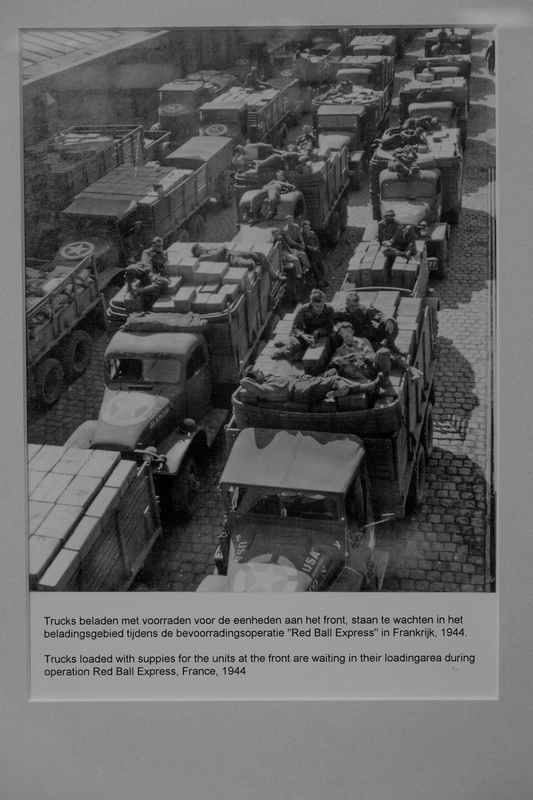 In order to expedite cargo to the front, trucks emblazoned with red balls followed a similarly marked route that had been closed to civilian traffic. These trucks were also given priority on regular roads. The system originated in an urgent 36-hour meeting and began operating on August 25, 1944, staffed primarily with African-American soldiers. 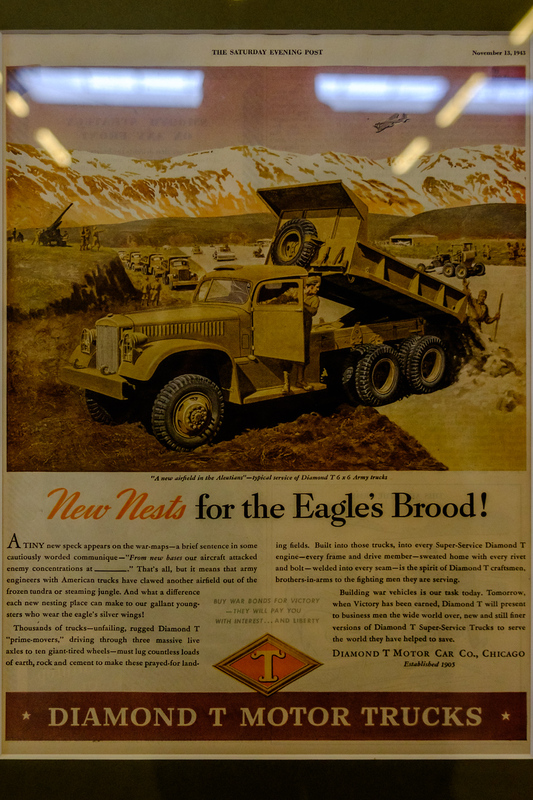 At its peak, the Express operated 5,958 vehicles, and carried about 12,500 tons of supplies a day. It ran for 83 days until November 16, when the port facilities at Antwerp, Belgium, were opened, enough French rail lines were repaired, and portable gasoline pipelines were deployed. 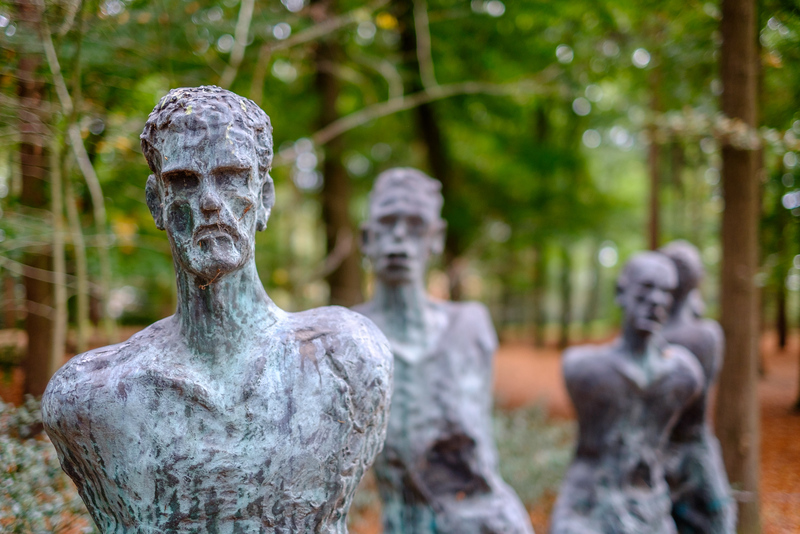 As well as all the vehicles, there is the history of the awful conditions that the people of Overloon suffered, and the role of the resistance. this next one is Shock Troops of the Command/Limburg Regiment during the Second World War. Monument Shock Troops Command, manufactured by the painter/sculptor Charles Eyck. 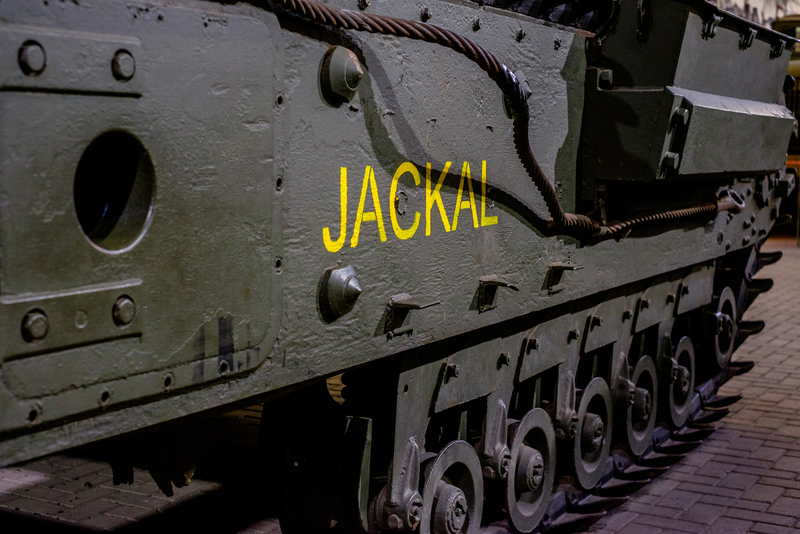 It is such a powerful museum to experience, and once isn’t really enough, there are bits that make you cry, like the letter from the tank guy, but there’s just so much that is fascinating, and you get such a sense of the scale of things. This was the last visit to museums along the way to the Model show in Veldhoeven, but stay tooned, as well be getting to that next time. 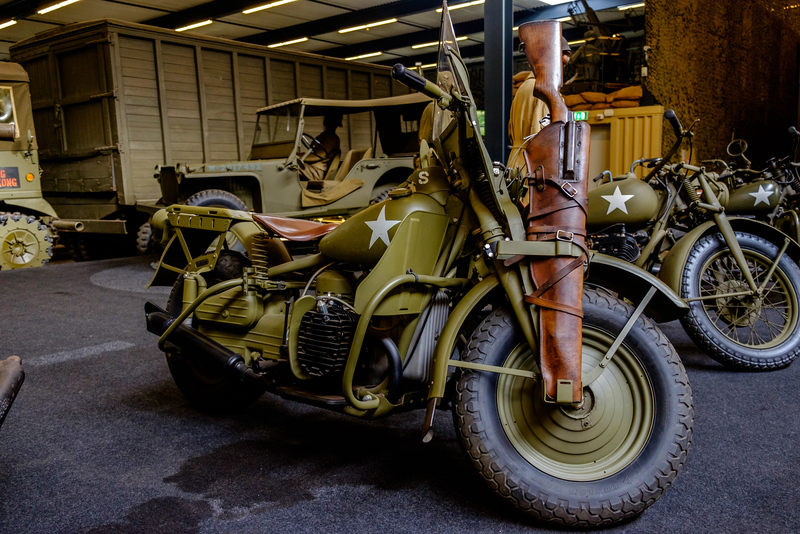 Posted in Adventures, Fuji, fujiXT1, History, Holland, landscape, museum, Overloon, photography, Travel, uncategorised, WW2Tagged fraggle, Fuji XT-1, history, Holland, Military Vehicles, Overloon, Overloon War Museum, WW2Bookmark the permalink. It looks like a very interesting place to visit! Yes, thanks, history always gets the synapses firing on all cylinders. Great shots. Lots of interesting old hardware. It was amazing! Cheers Tim. 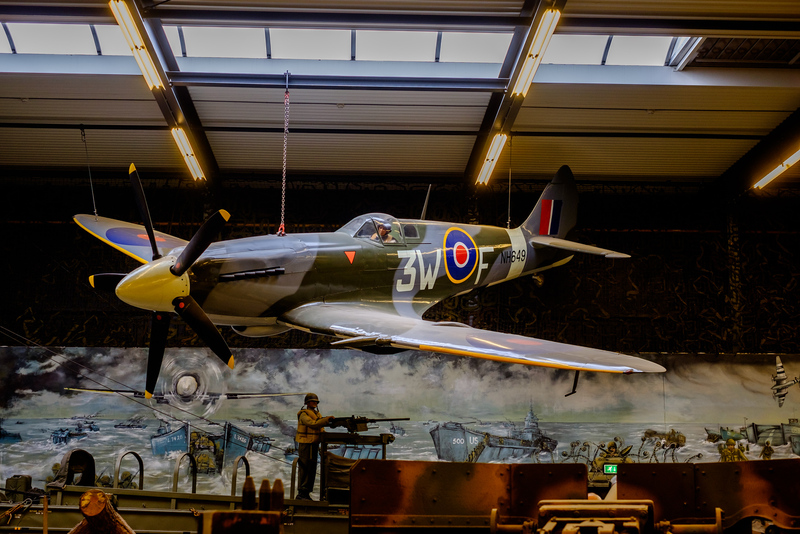 Love the machines….especially the Spitfire…such a sleek design. Read a great bio of the Spitfire a few years back…amazing planes. Excellent!Yes I am back sort of…still all over the gaff though…will try and get me movements more regular 😀 😀 …will look forward to the Spitfire doc, ta! My kind of place of course, and great shots. The letter from the guardsman about the tank was poignant indeed, and I appreciated the extra photos too. Glad you enjoyed it Pete! Impressive museum, some very nice scene setting. The letter brings home the reality of war. Cheers Eddy, came across a lot of that on our holiday. War museums walk a fine line. They’re there to commemorate of course but ours, for example is having a fun “come build a fort” even this weekend for kids, which might send the wrong message. Umm don’t know whether to laugh or groan! That letter is just so, so moving. I enjoy the logistical aspects of the museum, like getting goods to the front lines. The sheer magnitude of dealing with that is amazing to me. Yes it was an eye opener. Cheers Sarah. Aw that’s good to hear! Haha I sometimes think every holiday is about WW2! Wow impressive, but also sobering. 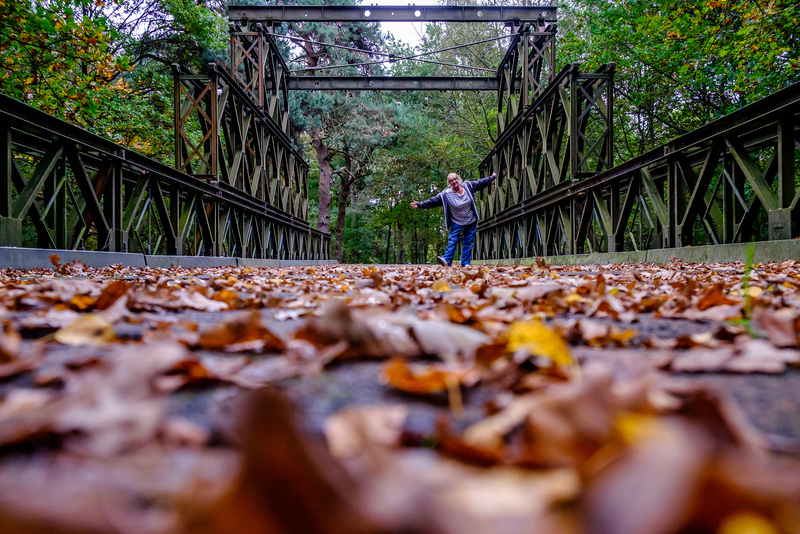 Love that shot of you on the bridge with all the autumn leaves. This place looks amazing. My wife is quite the military history buff. We’re taking a Europe trip next year and may have to add this to the list. Thanks for posting. Highly recommend it, she’ll be well impressed!